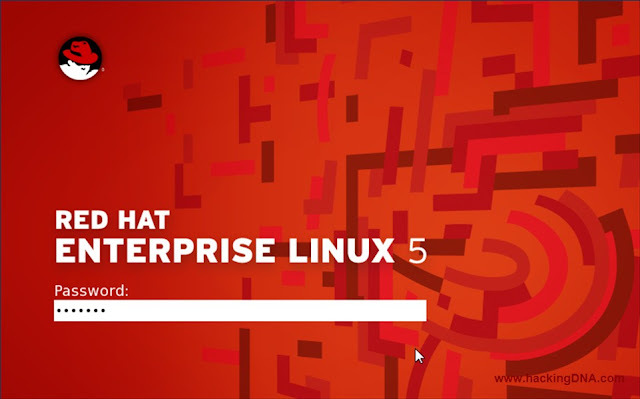 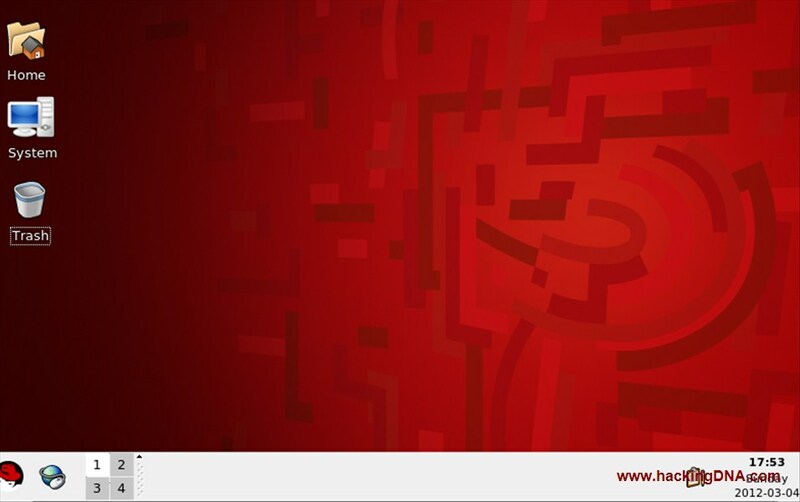 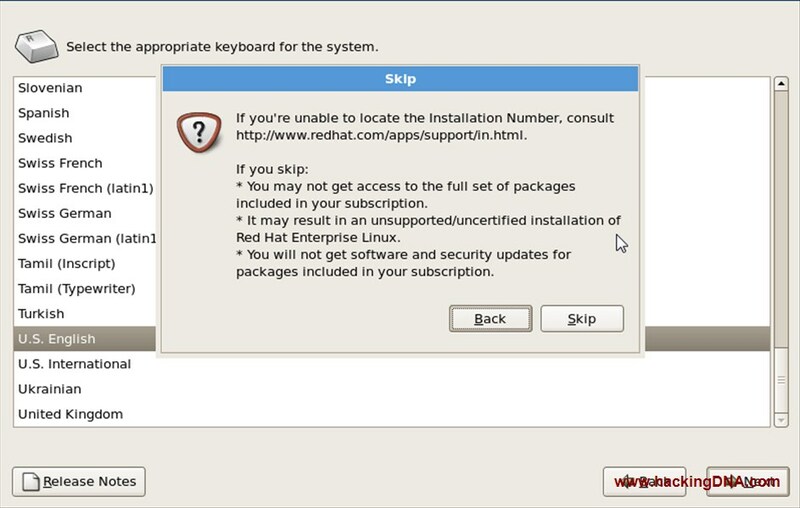 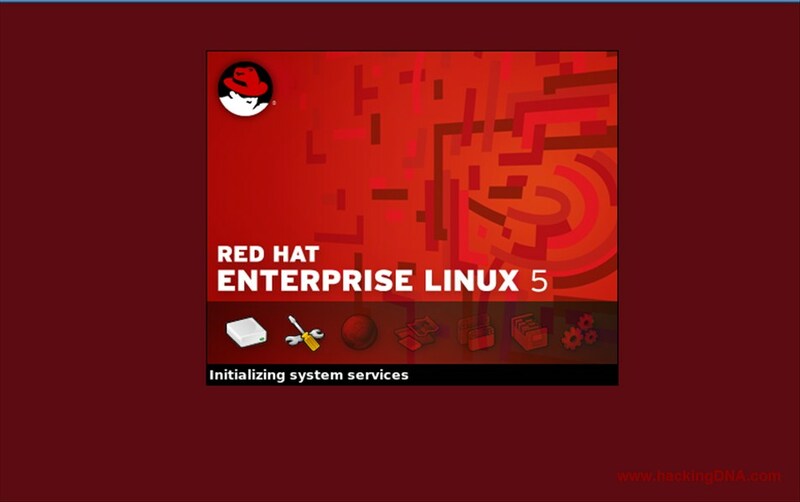 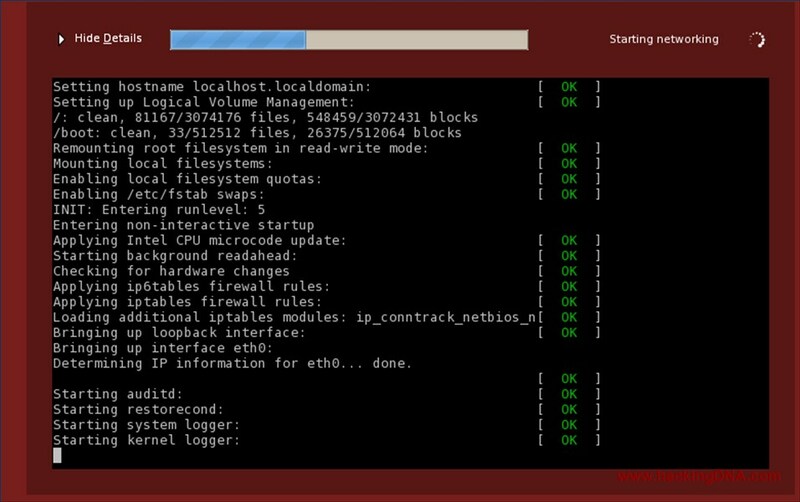 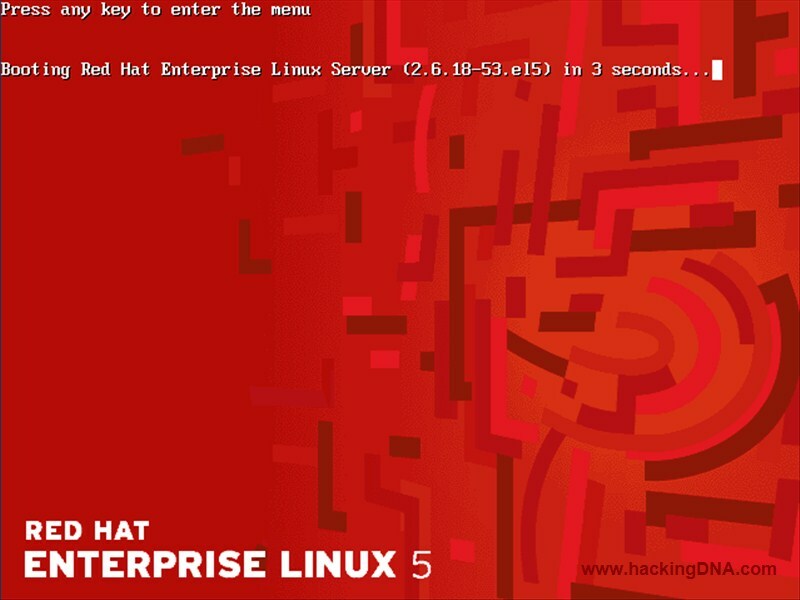 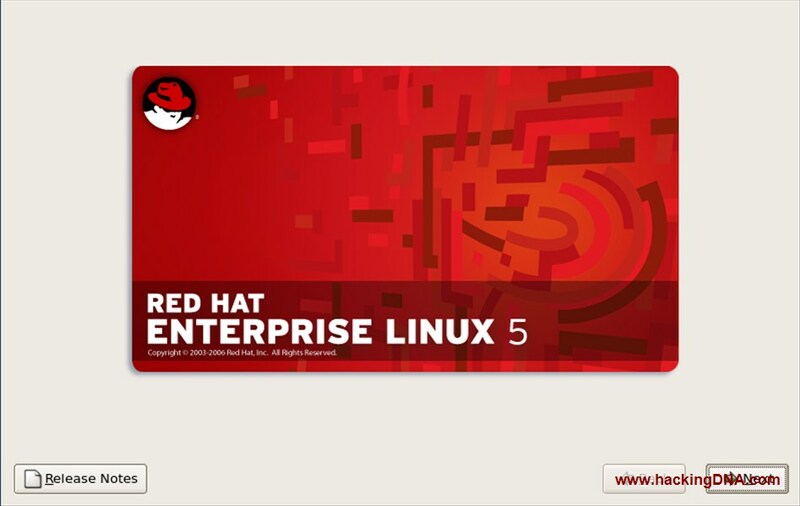 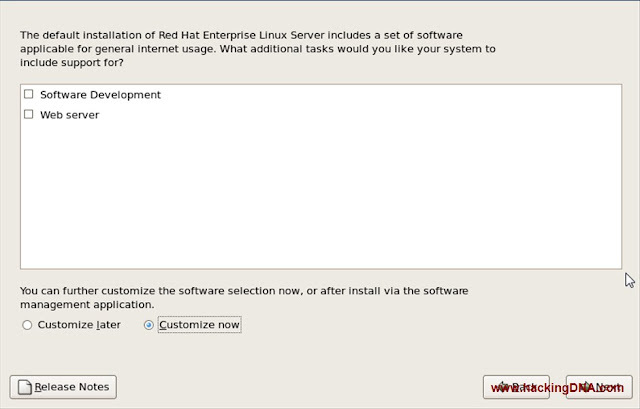 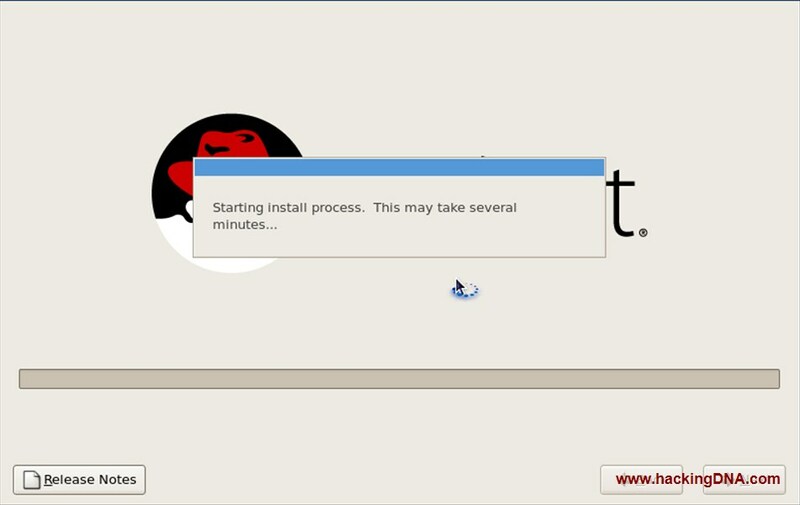 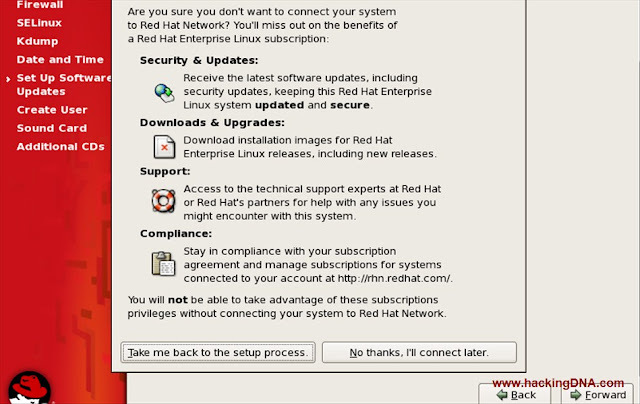 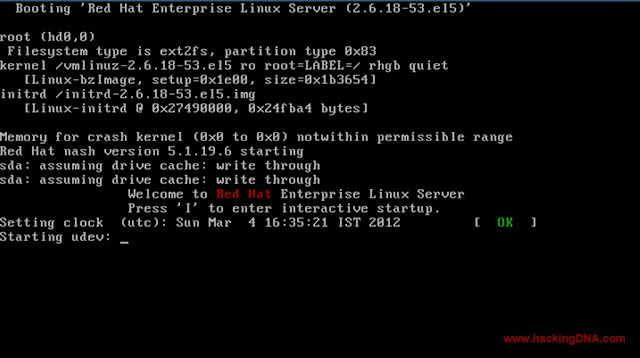 Step 1 :Boot RED HAT ENTERPRISE LINUX 5 From Your Bootable DVD . Step 2 : Select your Language according to your choice . 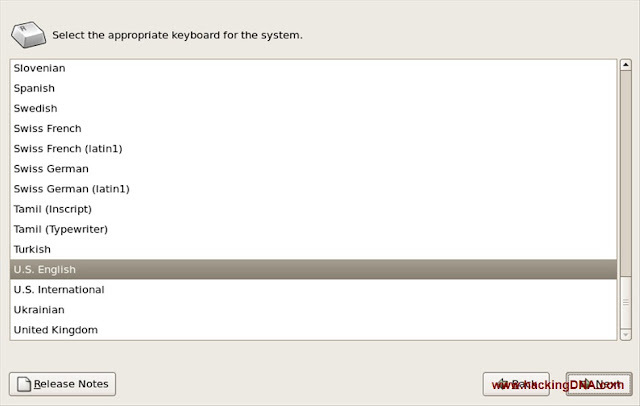 Step 3 : Select your keyboard Layout and Press Next . 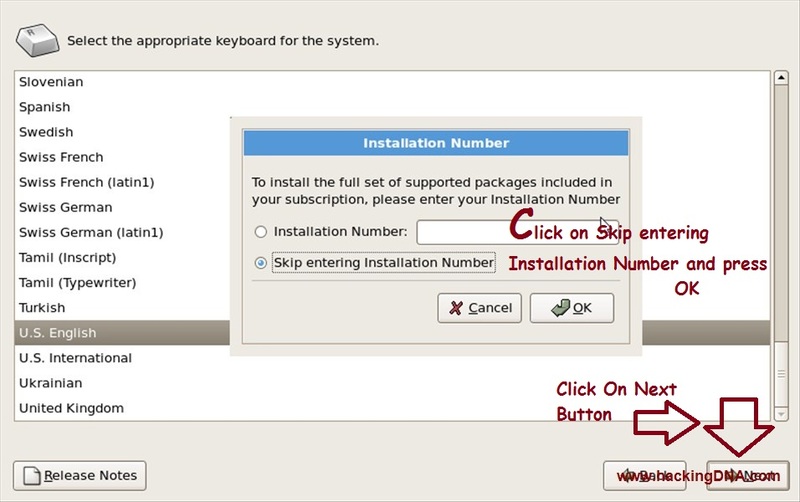 Step 4 : If you dont have Installation Number then select the Skip option and press OK then Press Next. Press the Skip button and click Next. 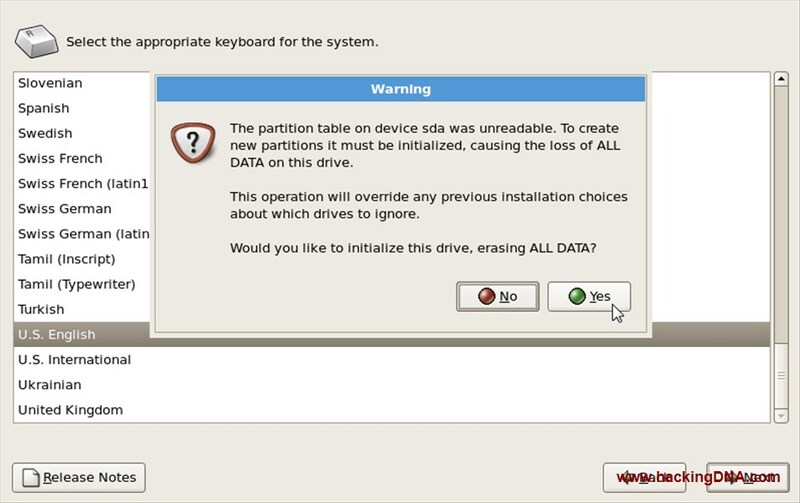 Step 5 : Some Warning message comes on the screen , it ask you To Create a New Partition .Choose Yes and press Next Button . 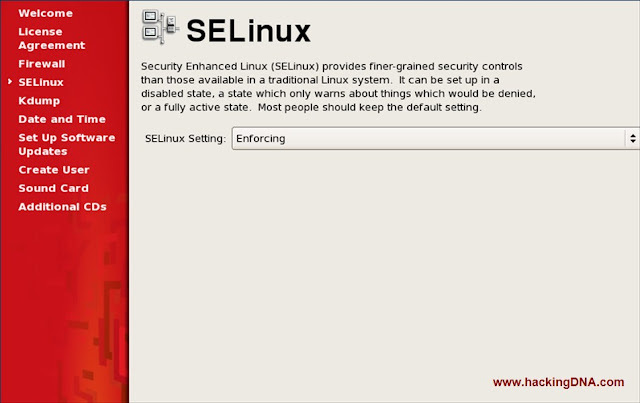 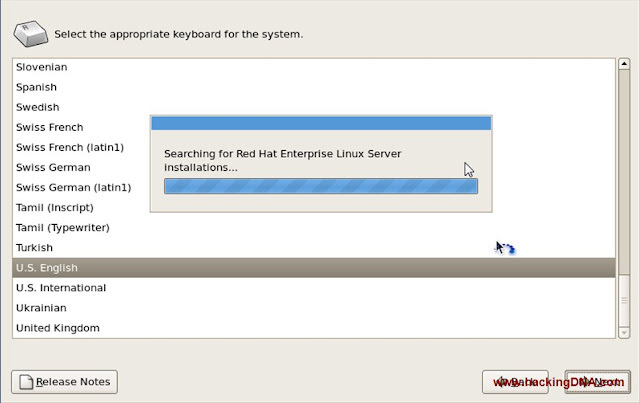 It will searching for Red Hat Enterprise Linux Server Installations . 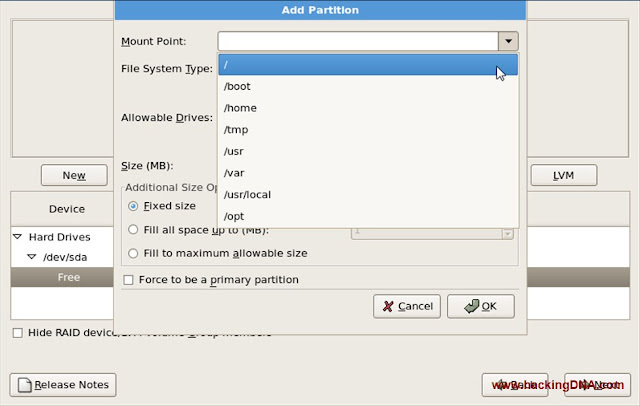 Step6 : Choose your Partition layout . 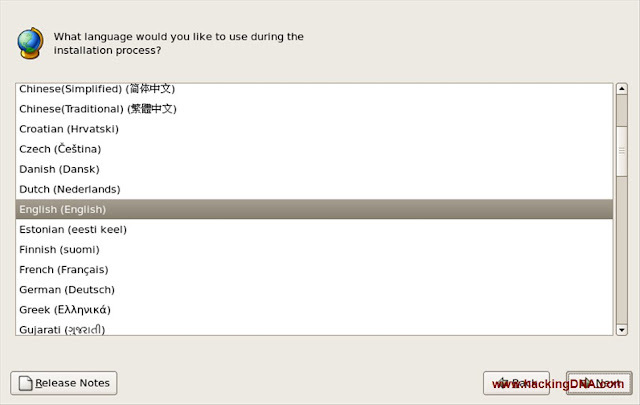 Here I am choosing Create custom layout . After selectting your layout click Next . 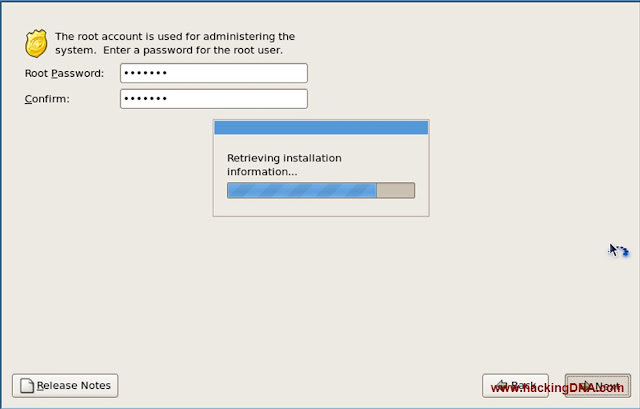 Now here you have to click on the drpo down button and choose / also known as root, See the next window. 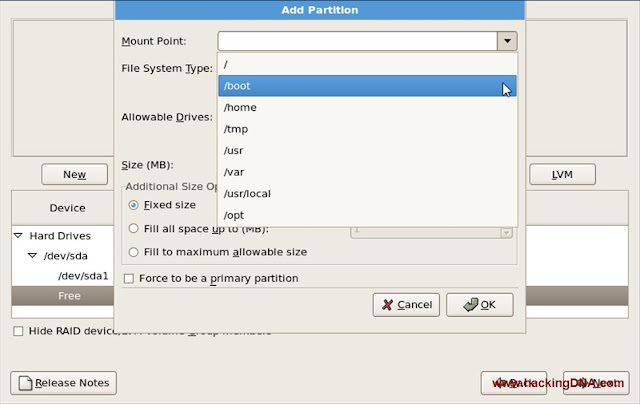 //here i have 20 GB harddisk and i have given 12 Gb (12000mb) space to the root . This window shows that your root partition created. 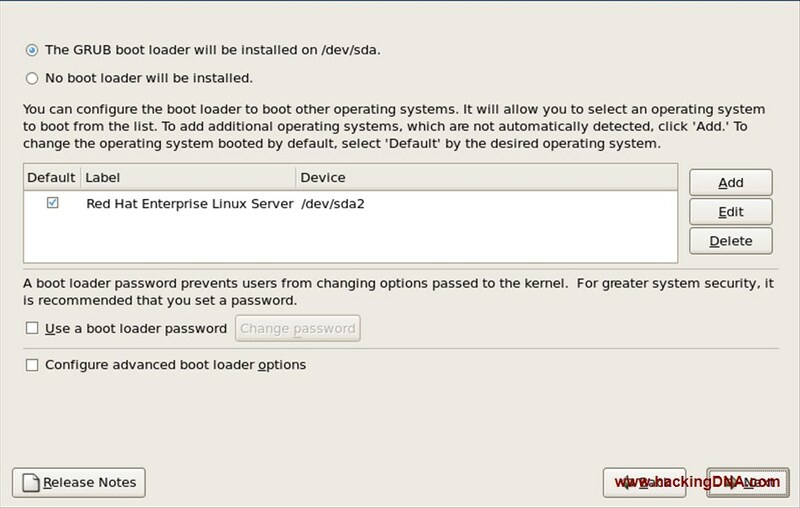 Remember : We created Boot partition for only Booting files . 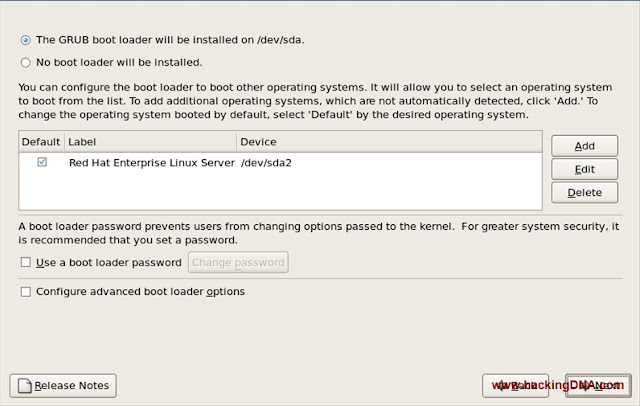 Here it is your /boot partition is created successfully. 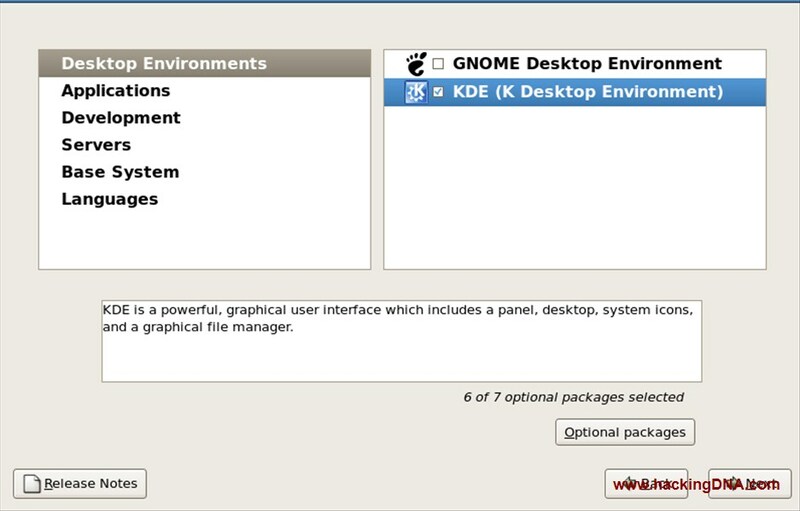 Choose Swap under the File System Type . 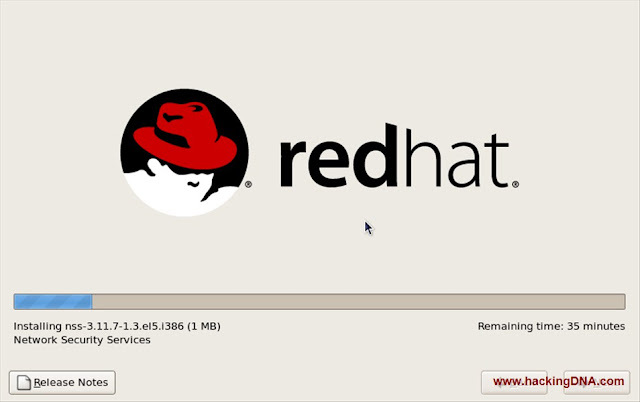 Size(MB) : 1200 // I have given 1200 bcz on my vmplayer i have given 600 mb of RAM. Remember : Linux used Twice the amount of Ram as a swap space , so always give twice the memory you have . Your Swap partition also successfully created . 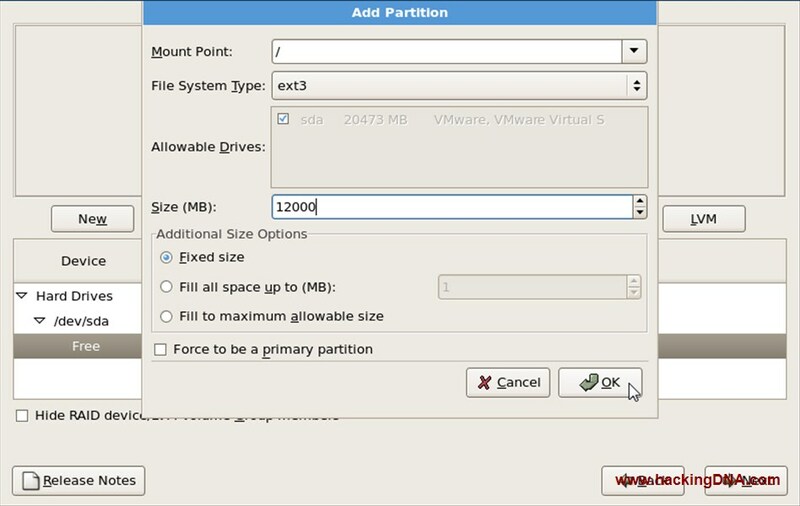 You all 3 partition are shown here . 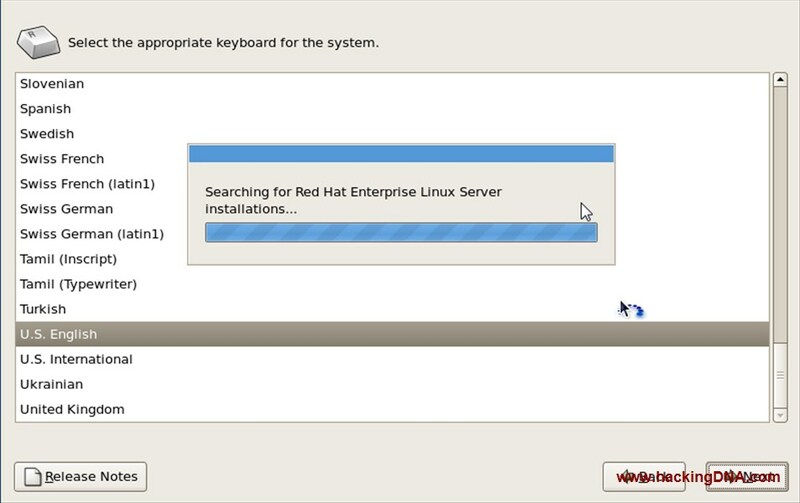 Step 10 : Click Next Button . 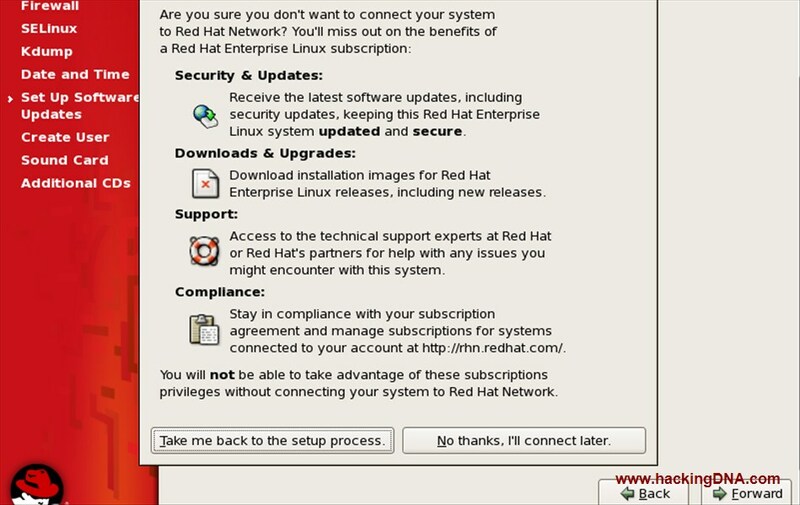 Dont change anything untill you know about it. Step 11: Network Devices: Set the Hostname as a automatically via DHCP . 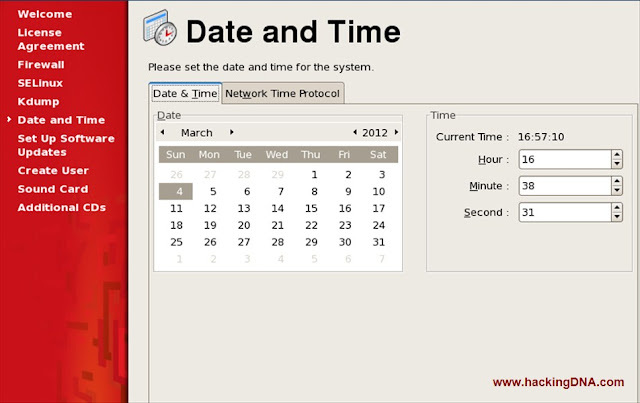 Step 12 : Select your Timezone and click Next. 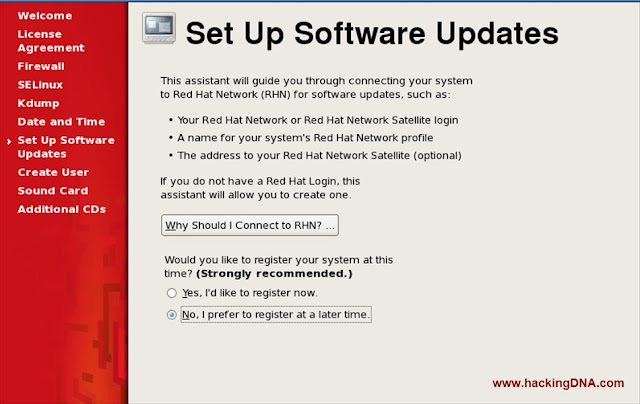 Wait for sometime , It will retrive some information shown in the image . Step 14 : Click on Customize now to chane the Desktop Environment. 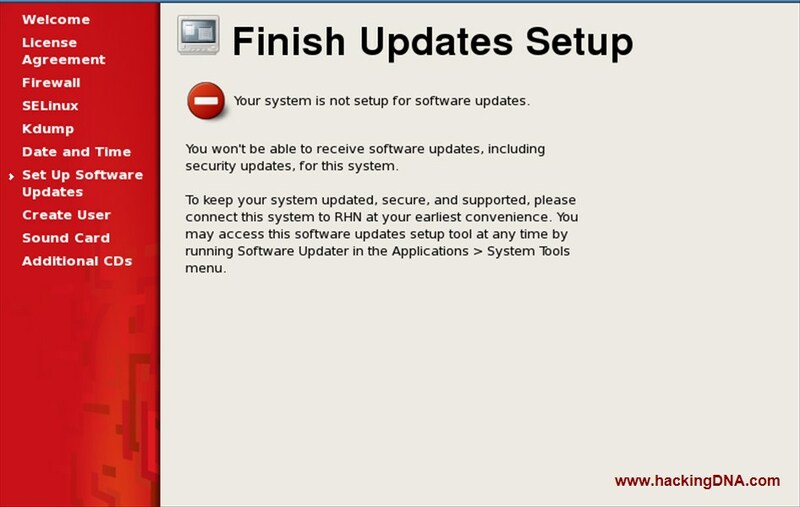 It will check for packages wait until it completed. 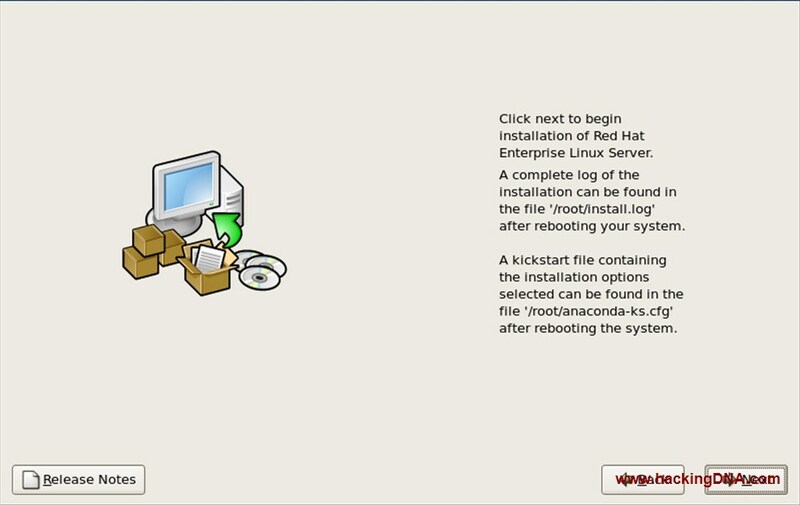 Step 16 :Now click On Reboot Button on the botto, right of this window. 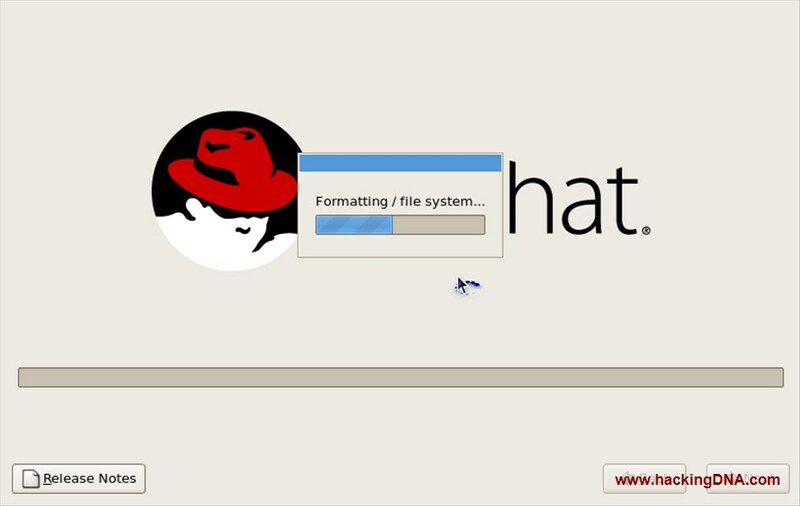 Formatting of your file system is starting now . 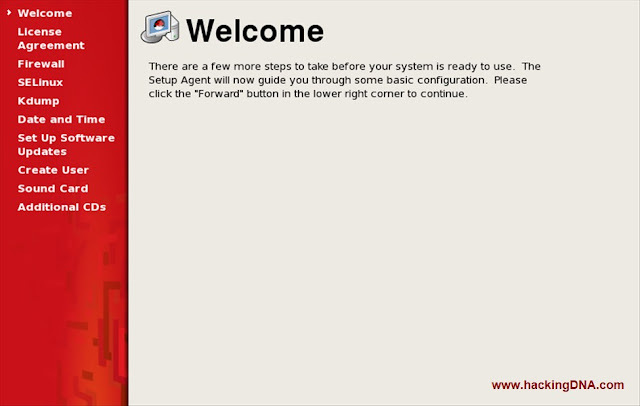 Step 17 : Click on the Forward Button. 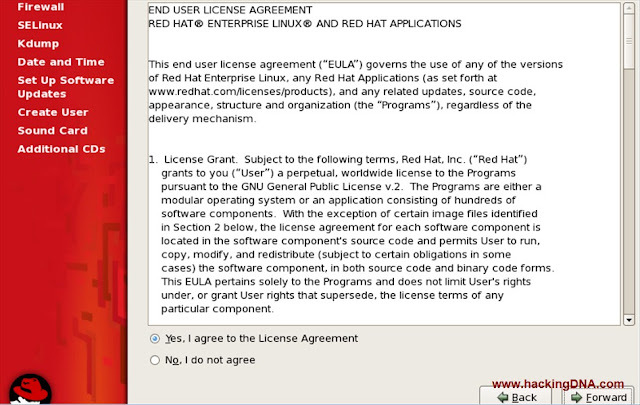 Step 18 : Agreement : Select Yes and click on the Forward Button. 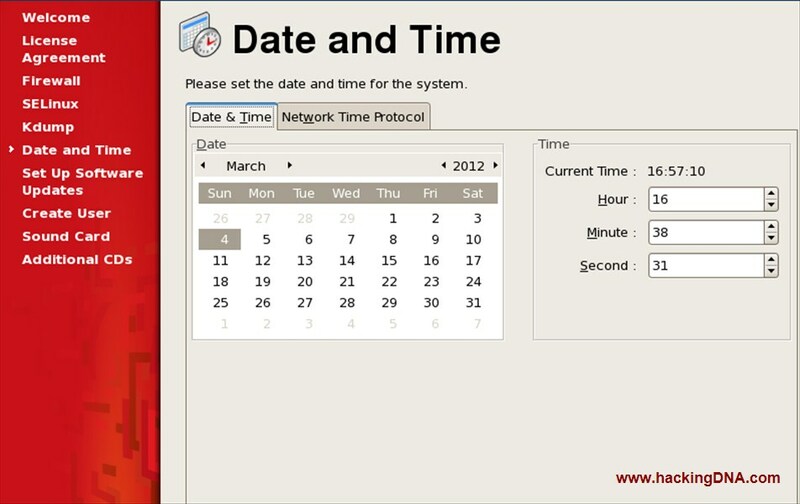 Step 21 : Select You Date and Time and click Forward. Step 23 : click on No thanks , i'll connect later and press Forward Button. 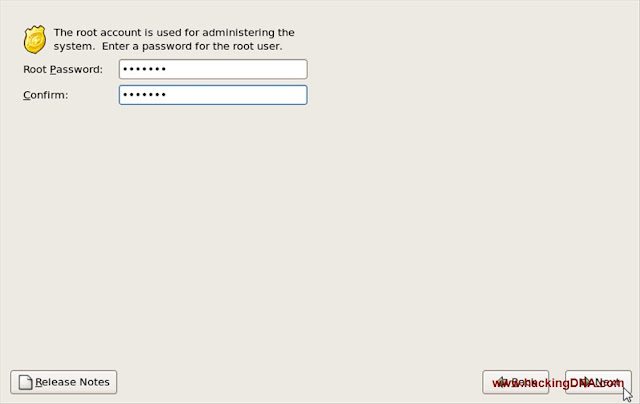 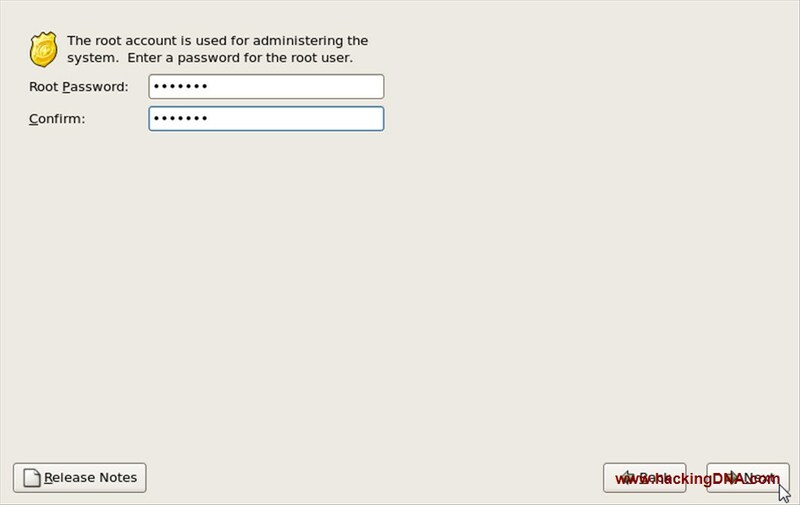 Step 24 : Create User : Enter your Username and Password then Press Forward. 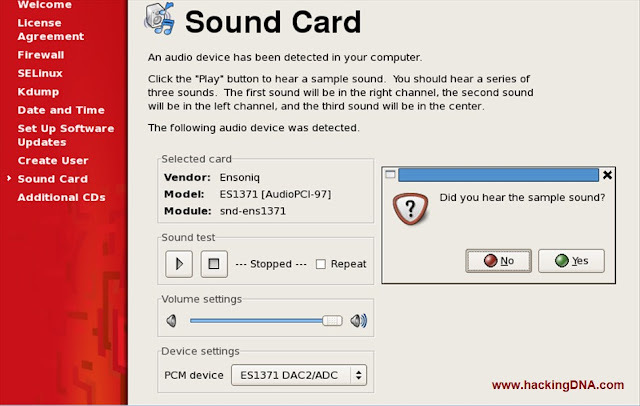 Step 25 : Sound Test : Click On play button , if you hear the sample sound then click Yes . Your installation complete click on Finish Button. 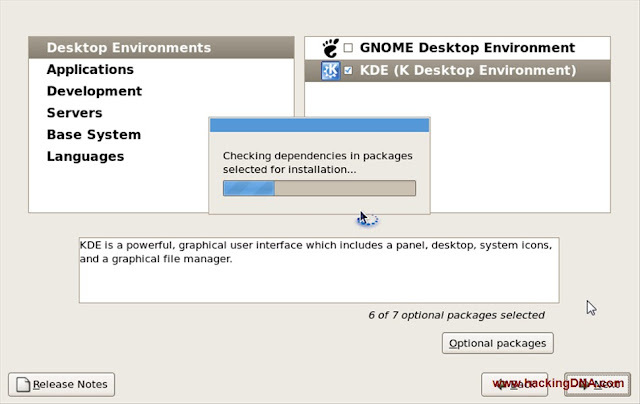 Your KDE Desktop is open now ! !